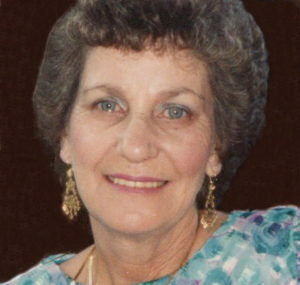 Helen M. Turner (Carlin) 81 years passed away on April 21st, at Staten Island University Hospital after a long illness. She was born in Staten Island and lived in Westerleigh most of her life. She graduated from Port Richmond High School and worked at the Federal Reserve Bank until she had her family. She also worked for the VNA for over 10 years. Her greatest achievement was her love of family, especially her grandchildren, Victoria and Edward. Helen is predeceased by her late husband Edward J. Sr. and her late daughter, Robin Turner (2015) and her sister and brother, Dorothy Cleary and John Carlin. She is survived by her son , Edward J. Jr. ( Antoinette) and her two grandchildren, Edward V Turner and Victoria DiGiorgio, along with her great granddaughter , Avyana DiGiorgio.her sisters Mary Gundacker, Grace Aboulez, Alice Cinquemani,and Kathy Delice. Funeral will be from Cherubini-McInerney Funeral Home (formally Meislohn -Silvie) on Wednesday at 9:15Am with a mass at Holy Family RC Church at 10AM. Burial will be at St. Peters Cemetery. Friends are invited to visit at the funeral home on Tuesday from 4PM to 9PM.